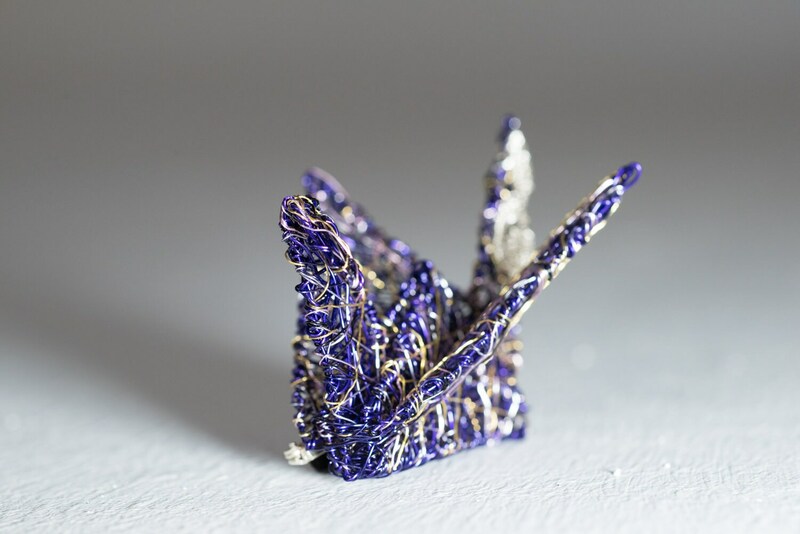 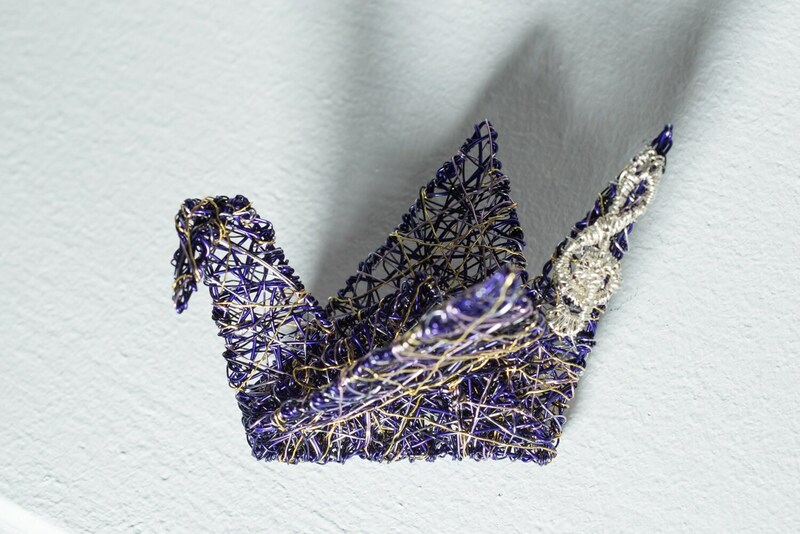 Origami crane large, bird brooch handmade of colored copper wire and silver. 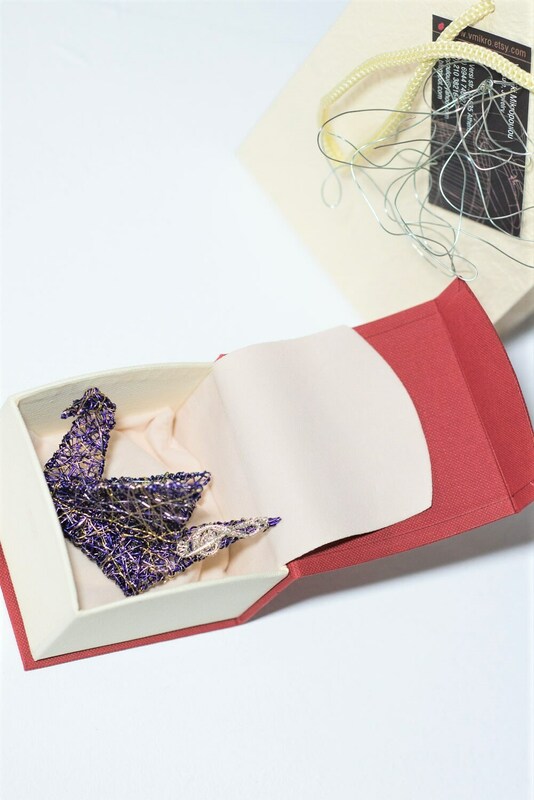 The wingspan of the eggplant, modern brooch, is 5.5cm (2.17in), and the width of the music teacher, or art teacher gift, brooch pin is 7.5cm (2.95in). 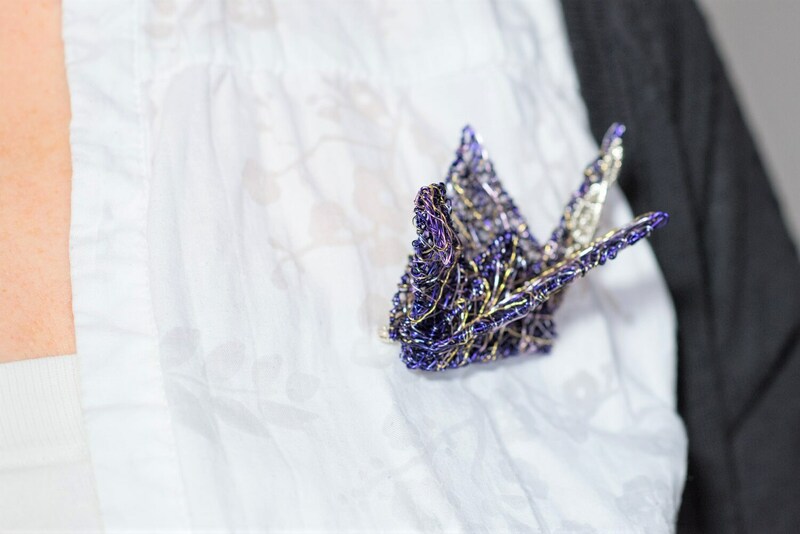 On the tail, there is a detail of a music key of sol. 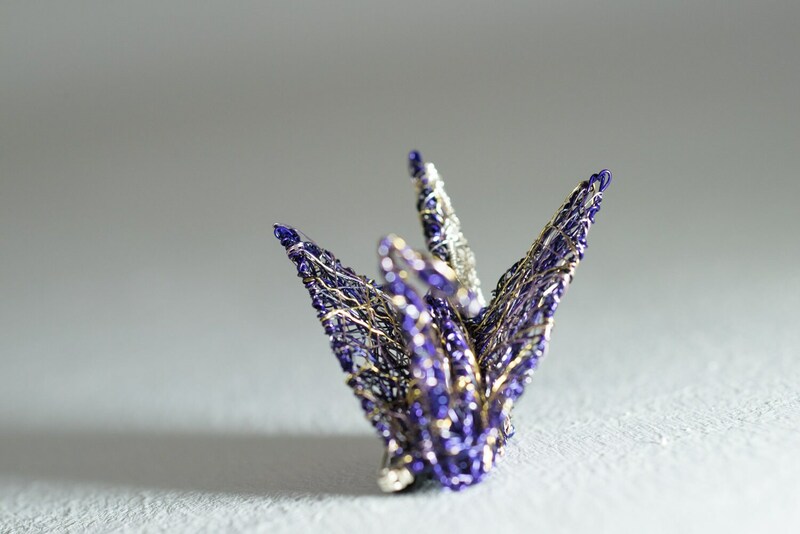 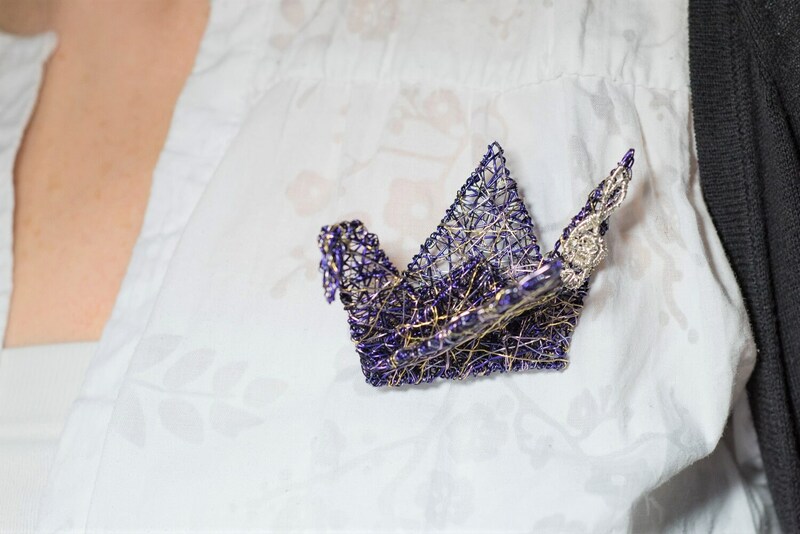 Is a brooch for women, or a little wire sculpture, for everyone!